Get 1,250,000 to spend in GTA Online for FREE when you buy Grand Theft Auto V game! Click here to add GTA money. Offer not available with Click & Collect. 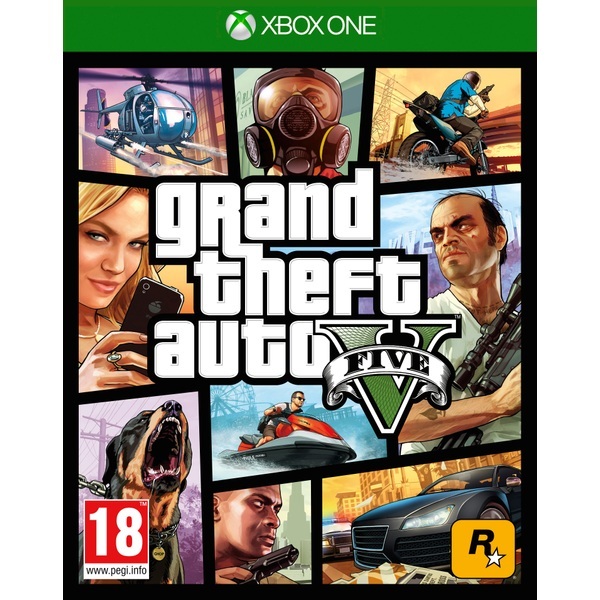 Grand Theft Auto V also comes with Grand Theft AutoOnline, the dynamic and ever-evolving Grand Theft Auto universe with online play now for up to 30 players on Xbox One. All existing gameplay upgrades and Rockstar-created content released since the launch of Grand Theft Auto Online is available for the Xbox One with much more to come. SPECIAL CONTENT FOR RETURNING PLAYERS Players returning from the PS3™and Xbox 360 versions get special access to a host of content on Xbox One including rare versions of classic vehicles to collect from across the Grand Theft Auto series such as the Dukes, the Dodo Seaplane and a faster, more manoeuvrable Blimp; activities including wildlife photography and new shooting range challenges, new weapons and more. The Doomsday Heist is coming to Grand Theft Auto Online on December 12th 2017. A billionaire tech mogul, an idealistic intelligence agent, a socially awkwad conspiracy theorist and a neurotic supercomputer have been forced into an unlikely alliance to save San Andreas from total annihilation. As apocalyptic threats mount from enemies unknown, you and your criminal crew are enlisted to un-tangle mysteries and eradicate threats spanning from the bustling streets of downtown Los Santos to the ocean floor and all the way to the inner depths of Mount Chiliad in an epic new online adventure.